Down vs Synthetic Jacket: What’s the Difference? Which Insulation is Better? As we prepare for the cold days of December that are right around the corner, a lot of us are considering buying a new insulated jacket. As great as it is that the options for such a jacket are practically limitless, it can prove to be quite a feat deciding which one is the best for you. Going through numerous jackets, deciding on the style, if it should have a hood or not, what about fur trim and, after everything else is decided, which color will be the best option, can take up a lot of your time. 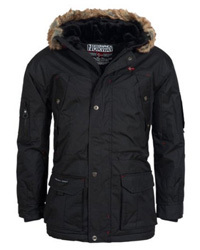 While we would definitely recommend that you take a look at some jacket selections that fit the criteria you are looking for overall, the most important step of buying a winter jacket is deciding on the insulation. This is not solely the most important step, but possibly the most challenging one, too. 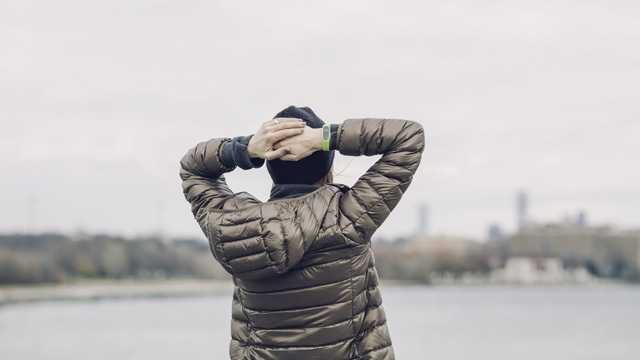 This is because regardless of the jacket design that you pick out, its insulation will ultimately determine how the jacket will perform in the cold, and in a winter jacket that is key. 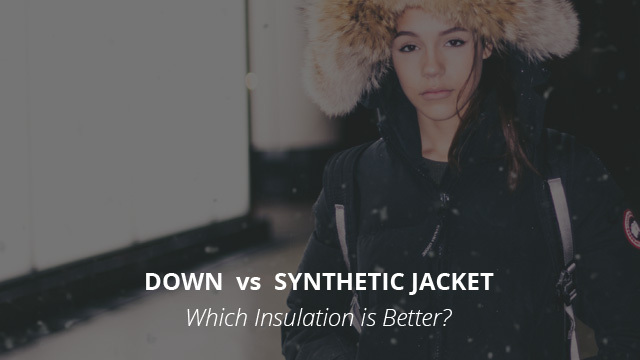 That’s what brings us to today’s article, where we will be taking a look at the two types of insulation available: Down and Synthetic. We will be going quite in-depth and not only learn more about each of them, but also compare the two in order to see which one you should go for. Without any further ado, let’s get started. 4. Which One is Better? Often referred to as “the best insulator”, Down comes with many qualities that are difficult to emulate and outdo. It is an all-natural insulator, because it comes from waterfowl, such as geese and ducks. However, it is not the only natural insulator available, as there is also wool, for example, which has been used for centuries as the go-to insulator. 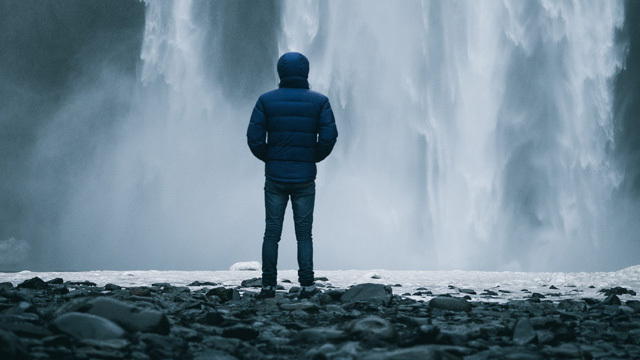 When it comes to jackets and other outdoor garments and gear, wool is not the insulation of choice because, as well as it performs and as warm as it is, it falls quite behind when compared to down. However, you will find wool clothing very useful when it comes to layering, an essential step in outdoor safety during the colder months. Getting back to down insulation, let’s now take a look at why it is regarded as the best insulation available for jackets and the different types available. Before we begin with this part, we’d like to point out that down is not the same as feathers, because they are not technically feathers. Down is the undercoating that is found in waterfowl, that lays between the birds’ body and their thick outer feathers. Its main purpose is to not only provide warmth for the birds themselves, but to also help with keeping the eggs warm. It does so by trapping warm air from the bird’s body and keeping it in between the tiny filaments to create a warmth barrier against the cold. Duck down is the most commonly used one because of its affordability. 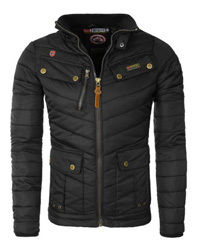 If you have taken a look at jackets online, you will often see that the type of down used is specified and if it isn’t, odds are that duck down was used. While it does perform very well in terms of insulation, duck down is not at the level of goose down. The reason for this is that it has a higher weight-to-warmth ratio, meaning that more duck down is required to provide the same insulation as a similarly-rated goose down jacket. Goose down has a higher loft and therefore it weighs considerably less. We will get into the loft specifics in a minute. 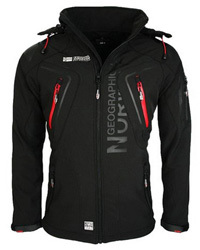 Related: Duck Down vs Goose Down Jacket: Which One is Better? In terms of sourcing, the majority of brands, especially those with a reputation, use down per the RDS standard, which ensures that both the down and feathers used are responsibly and sustainably sourced, from birds that were humanely treated, neither force-fed, nor live plucked. Usually they are a byproduct of the meat industry and the down origin can be tracked all the way to the birds’ hatching until the end of their lives. Loft and fill-power are used interchangeably because fill-power is the measurement of the loft. Loft is the fluffiness of down clusters and the higher it is, the more warmth the clusters can trap. Fill-power measures the loft by determining how many cubic inches can one ounce of down “fill” when expanded to its maximum, and that is what you can find listed on the label and in the details of down jackets. A 550 fill-power down jacket means that one ounce of down can take up 550 cubic inches when expanded. The higher the fill-power, the better the insulation and the lower the weight. Goose down is the loftiest of all types of down, and it can rate upwards of 900 fill-power when the duck is sourced from mature geese. The price is also proportional to fill-power, however. Therefore, the higher the loft, the more expensive the jacket. Apart from its loft and the ability to trap warm air because of this, down has some other characteristics that we are going to go through, which will then be compared to those of synthetic insulation. Longevity: With proper care, down jackets can last for decades with no detriment to the insulation. However, this is sometimes quite a tricky process and that’s why we’d suggest you take a look at how to properly care for a down jacket. Compressibility: A characteristic of down jackets, compressibility is a feature that comes in handy when you need to travel or when winter is out and the jacket will be stowed away. Goose down jackets are considerably compressible as they are the least bulky. Weather resistance: As great as it is, down has a major downfall, which is moisture. If wet, down loses its loft and therefore the ability to trap heat, which renders it completely useless at insulating. This is why DWR down treatments are sometimes used as they make the insulation able to repel water and therefore lower the risk of it getting wet right away. Synthetic insulation gets better as time goes by, because the technological process is constantly progressing. Made almost exclusively by polyester, synthetic insulation closely mimics down’s ability to trap heat and does so through small polyester fibers or clusters, depending on the type of insulation. Let’s take a look at its characteristics and then move on to comparing it to down. PrimaLoft® is the down of synthetic insulators, PrimaLoft is made of microfibers that are incredibly soft and bear a likeness to down in terms of performance. This is a very durable insulation that provides the highest warmth-to-weight ratio of all synthetic insulation. It is also water-resistant and highly compressible. Related: PrimaLoft vs Down Insulation: Which One is Better? MicroLoft® is water-resistant and made of extremely thin fibers, which is why it is able to trap heat very efficiently. Thermolite® is an excellent insulator due to the warmth-to-weight ratio, and it manages to insulate even when wet. It comes in several variants, which provide different performance and durability levels. Polarguard® is made of continuous fibers that are able to retain their loft even when wet. It is hypoallergenic and comes in three main variants, with different compressibility and performance levels. Despite it being made to resemble down in terms of performance, and sometimes even in feel, synthetic insulation comes with certain characteristics that are unique to it and mostly common among all types of synthetic insulation. Water-resistance: Because it is made mainly of polyester, synthetic insulation is able to withstand moisture a lot longer than down, and even when wet, it does not lose much of its loft. Due to this, it manages to insulate when it’s wet, albeit at a lesser degree than if it were dry. Mildew-resistant: Being synthetic, it does not leave much room for mold and mildew to develop, especially because a majority of synthetic insulators are made to specifically avoid this issue. This is not to say that you should store it in damp and inappropriate conditions, however. Easy to care for: Synthetic insulation washes very easily and dries out quickly, without much effort on your part. Now that we are all familiar with both types of insulation, let’s see how their characteristics compare to each other. In regards to loft, down can hardly be matched, no matter how great the synthetic insulation is. It is the warmest of all insulators available, be it synthetic or natural and provides great loft and comfort. It’s for this reason that winter parkas that are made for freezing conditions, including those for arctic expeditions, are made with down insulation. You know where this is going from what we mentioned previously. Down will lose all of its loft, and therefore its insulating ability, when wet. Now, you may wonder why that is, especially since down is sourced from waterfowl. Well, these birds have thicker feathers over down, and these are water-resistant and create a waterproof barrier that prevents the down plumage from getting wet. But, water-resistant and even waterproof down jackets have been created specifically to overcome this problem, so there isn’t much to worry about. If you are willing to pay for it, of course. Synthetic, on the other hand, fares much better and that’s why it is more suitable if you live in areas where rain is common. Down requires a meticulous washing process, which is not complicated really, but takes time and patience. It also requires down-specific cleaners and preferably water-repellent treatment afterwards, especially if the shell of your jacket is not the best at warding off water. Synthetic insulation cleans easily and it also dries very quickly compared to down, which can take days sometimes. 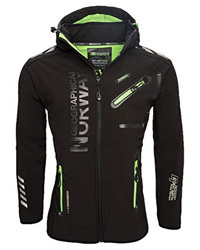 With proper care, quality down jackets will outlast synthetic jackets by a long shot. Synthetic insulation tends to get worn out with time, which is not the case with down, and as such it slowly loses its ability to insulate. This is not an issue per se as quality jackets that use synthetic insulation will last for a long time as it is and they also cost considerably less than a down jacket. Well, they both have their pros and cons and it all comes down to how much you are willing to spend and, most importantly, your lifestyle and location. If where you live winter is harsh and dry, then a down jacket will keep you warm and toasty even if temperatures drop considerably. Also, if you are an avid outdoor adventurer, and require a quality jacket for your hiking and camping trips, then down jackets will do a much better job at insulating and will also last longer. On the other hand, if you want something seasonal, or are entirely opposed to animal-sourced clothing, then synthetic insulation will get the job done at a much more affordable price.